All good communities are governed by a set of standards and norms. 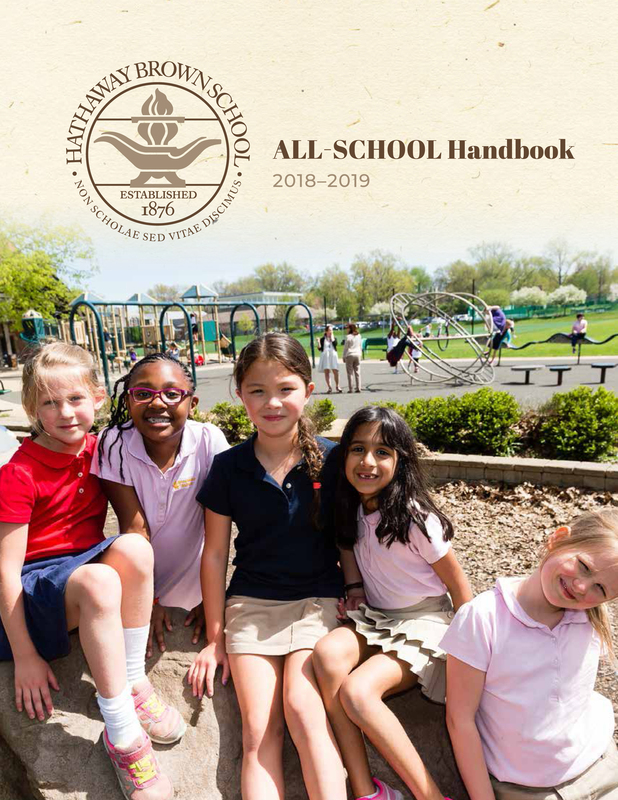 The policies, procedures, and guidelines that shape the Hathaway Brown experience are outlined in the handbook posted here. This document was created and refined by members of the school's Administrative Council and Board of Trustees and represents input from all school constituencies. All HB students, parents, and employees agree to abide by the rules outlined in this handbook. For your convenience, the material is available for pdf download by clicking on the links below. Because laws change and policies evolve (especially with good communication), the materials in this current handbook replace all other written policies distributed in the past. Hathaway Brown reserves the right to suspend, modify, or amend any policy or procedure at any time. Because we are committed to healthy communication, we will inform you of these updates and changes in a timely manner.